The University of Delaware Botanic Gardens (UDBG) relies on the work of student interns to maintain the garden’s plant collections. Thanks to the establishment of two generous endowments, UDBG will be guaranteed to have two student interns working every summer. The endowed summer interns work alongside our other summer interns. The Lafferty Family Garden Internship at the University of Delaware Botanic Gardens offers undergraduates, eager to learn about plants, the environment, their management, and horticulture, an opportunity to receive valuable hands-on learning experiences by working in the University of Delaware’s botanic gardens. The Lafferty Family summer intern will work alongside UDBG horticulture staff and volunteers in all phases of public garden maintenance and development, receiving hands-on opportunities related to horticulture, public gardening and landscape design. The intern may also be involved in special projects such as accession records, garden inventories, plant signage, marketing, web site projects or photography. Training sessions, public educational programs, and field trips are also offered to help broaden the intern’s horticultural horizon. The Lafferty Family Garden Internship Fund provides for a summer internship stipend (May or June 2019 – August 2019). This named internship also provides additional funding for independent projects and educational experiences. 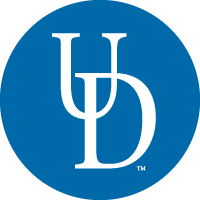 For more information on The Lafferty Family Garden Internship, or to submit a formal application, students are encouraged to contact Andrew Adams, UDBG Horticulture Manager at: 302-831-0909 or aadamsud@udel.edu (by no later than March 15). The Parvis Family Summer Internship at the University of Delaware Botanic Gardens offers undergraduates, eager to learn about plants, the environment, their management, and horticulture, an opportunity to receive valuable hands-on learning experiences by working in the University of Delaware’s botanic gardens. The Parvis Family Summer Intern will work alongside UDBG horticulture staff and volunteers in all phases of public garden maintenance and development, receiving hands-on opportunities related to horticulture, public gardening and landscape design. The intern may also be involved in special projects such as accession records, garden inventories, plant signage, marketing, web site projects or photography. Training sessions, public educational programs, and field trips are also offered to help broaden the intern’s horticultural horizon. The Parvis Family Summer Internship Fund provides for a summer internship stipend (May or June 2019 – August 2019). This named internship also provides additional funding for independent projects and educational experiences. For more information on The Parvis Family Summer Internship, or to submit a formal application, students are encouraged to contact Andrew Adams, UDBG Horticulture Manager at: 302-831-0909 or aadamsud@udel.edu (by no later than March 15).